Learn how to put ideas into action and achieve your goals. Every Monday morning, I will give you excerpts and recommendations for books I have enjoyed very much. Some are serious, others light reading. Some are still in print, others not so but still worth getting from the library. Or, they can be ideas to add to your holiday shopping list. Every once-in-awhile you come across a book that catches your imagination at a time when your imagination needs some inspiration. That was the case with this excellent book about the process of putting ideas in action. The article below by author Anne Firth Murray will give you a sense of the approach she takes to making a change in the world. Reading the information that follows about the author can also give you a sense of her vast experience and the determination she has brought to providing women with the ability to make their lifes, and the lives of their families, richer, healthier and more satisfying. 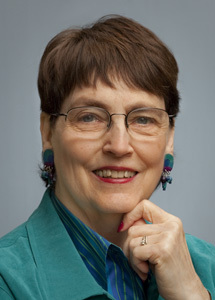 Anne Murray, a New Zealander, attended the University of California, Berkeley, and New York University, where she studied economics, political science, and public administration, with a focus on international health policy and women’s reproductive health. She has worked at the United Nations as a writer, has taught in Hong Kong and Singapore, and has spent several years as an editor with Oxford, Stanford, and Yale University presses. For the past twenty-five years, she has worked in the field of philanthropy, serving as a consultant to many foundations. From 1978 to the end of 1987, she directed the environment and international population programs of the William and Flora Hewlett Foundation in California. She is the founding president of The Global Fund for Women, established in 1987, which provides funds internationally to seed, strengthen, and link groups committed to women’s well-being. She is currently a consulting professor in the human biology program at Stanford University. Ms. Murray has served on numerous boards and councils of nonprofit organizations, currently including the African Women’s Development Fund, Commonweal, GRACE (a group working on HIV/AIDS in east Africa), the Hesperian Foundation, and UNNITI (a women’s foundation in India). She is the recipient of many awards and honors for her work on women’s health and philanthropy, and in 2005 she was among one thousand women nominated for the Nobel Peace Prize. Ms. Murray has one daughter, who is an attorney in California, and two grandchildren. She lives in Menlo Park, California. To learn more, please visit www.paradigmfound.org.